Well, that day has finally come. No, I didn’t win the lottery. This is even better. Well, for me it is. 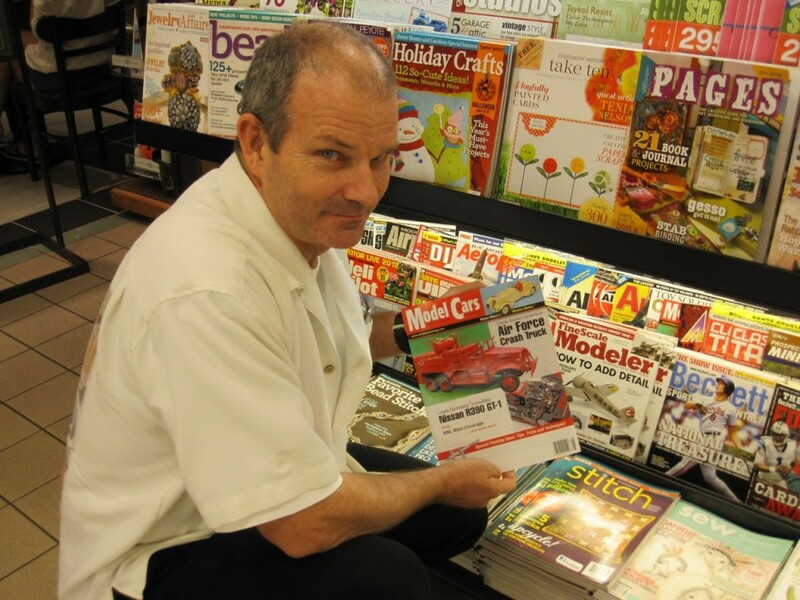 After almost 13 years, Model Cars Magazine is finally on the shelves at Barnes & Noble Bookstores. I have been trying to get it onto the shelves all these years, after repeatedly being told that no, you’re not big enough, no, we’re not interested, or the “Consultants” who would tell me: “Sorry, no, we don’t think you will be accepted into their programs, but guess what? Let us charge you $1,500, plus a monthly service fee, and we will show you how you can get in…” Yeah, right. I was born at night, not last night. Unfortunately, this is the way it is for many magazine publishers, especially us smaller independent ones. Then there’s the fact that even though we send out hundreds, if not thousands of copies of the magazine to the distributors, and they sell, we don’t get for many many months. It’s not a good way to run a business, waiting to get paid for that long, but heh, what are you going to do? Model Cars is in Barnes & Noble.